As the General Manager, David is responsible for all aspects of the Strategic Direction and Management of the Company and for ensuring that the Operational commitments are met. David answers directly to the Board of Directors of Khadamat Facilities Management. David has 30 plus years of experience as a Marine Engineer and 17 years of experience specifically in the field of Facilities Management in senior positions. He holds a Higher National Diploma in Management Studies and Diplomas in Health and Safety and in Environmental Management. 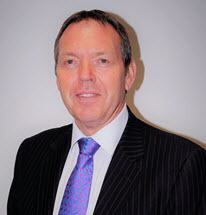 David is a member of the British Institute of Facilities Management and the Chartered Institute of Management. As the Operations Manager for Khadamat Facilities Management, Ahmad Al Atrash is responsible for the overall operational deliverables of the soft and hard services which include cleaning, waste management, Estates, service desk, time tabling, information technology and security. Ahmad worked in Project management sector for multi international companies in Jordan, Saudi Arabia, Bahrain and for the last ten years in UAE mainly in UAE University new campus construction and facilities management. Ahmad has a proven record in delivering successful mega projects in construction, infrastructure and Facilities Management industries. Ahmad is highly committed and dedicated to provide client and customer satisfaction. He strives to continuously improve customer service through a flexible professional approach. Ahmad holds Bachelor of Science Degree in Electrical Engineering from Jordan University of Science and Technology in Jordan and Master’s degree in Facilities Management from Edinburgh Napier University in Scotland. Ahmad is a member of the British Institute of Engineering and Technology. 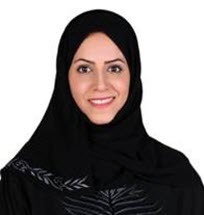 As the HR Manager at Khadamat Facilities Management, Eman Abdul Hameed Al Hayki has over 9 years experience in founding and leading Human Resources in the UAE across various industries including Banking, Financial Services, Retail and Facilities Management. Eman is responsible for the successful operation and management of the HR Services, Employees Training and Development department. In addition to the HR deliverables, responsibilities also include liaison with government entities such as Abu Dhabi Retirement Pension & Benefits Fund, Ministry of Human Resources and Emiratization, HAAD, etc. Eman is experienced in establishing HR Departments, corporate restructuring mergers and acquisitions, designing ERP system for HR management, Emiratization, Employees Compensations and Benefits. She has completed her Bachelor in Business and Quality Management and a member of the Society for Human Resource Management (SHRM). She is passionate about her job and loves challenges. As the Finance Manager and Head of Procurement at Khadamat Facilities Management, Fungai Kovhiwa is responsible for the financial and controlling activities of the company ensuring accurate financial reporting to the Joint Venture parent companies. He is also responsible for the Commercial activities encompassing the Supply Chain management, Stores and Inventory management. Fungai has over 25 years of wide ranging experience in Finance, Management and Procurement with various Multinational Companies in Manufacturing, Mining, Engineering, FMCG & Facilities Management. Most recently he worked with Corys Packaging, Aujan Industries and Kentech International while in the UAE and worked with leading platinum mines in South Africa and Namibia. Fungai is a qualified Chartered Accountant (ICAEW & FCCA), and holds a Masters in Business Leadership degree from University of South Africa. 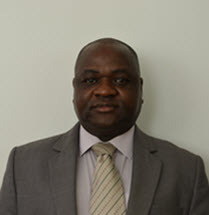 Fungai holds a Bsc in Applied Accounting from Oxford Brookes University from the United Kingdom. As the QHSE Manager and Head of Compliance at Khadamat Facilities Management, Dexter Lopez is responsible for the development, management and implementation of Occupational Health & Safety of the company, the continual improvement of the Integrated Management System, compliance with relevant regulations and requirements, and ensuring that the business aspects and impacts are monitored and controlled to support environmental sustainability. 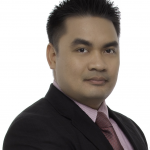 Dexter worked for a several years in multi-national companies in the Philippines as a Chemical Engineer before relocating to the UAE, where he has worked for the last ten years as a registered QHSE Practitioner. He is committed and dedicated to embed strong health and safety culture throughout the company and to have a safe work environment. Dexter holds a degree in Bachelor of Science in Chemical Engineering from Technological Institute of the Philippines and is a registered OSHMS Generalist under OSHAD Registration Program. Dexter is a Specialist member of the International Institute of Risk and Safety Management. 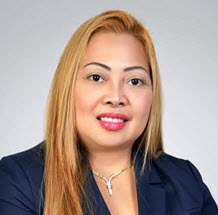 As the Soft Services Manager for Khadamat Facilities Management at UAEU New Campus Al Ain, Sherly Carabeo is responsible managing the delivery of the Soft Services department. These includes Cleaning, Window Cleaning, Pest Control, Waste Management, Service Desk, Time Tabling and Administration. She provides operational management, leadership and outputs to ensure delivery in compliance with the Project Agreement. Sherly also oversee varied contract performance of strategic partners, stakeholder engagement, safety, assurance and compliance function related to her business operations. As the Estates Manager for Khadamat Facilities Management, Abdul Hameed is responsible for the operational deliverables of the Estates Management services, In addition to the contract core outputs responsibilities also include infrastructure Interface with the Campus Project Developers and liaison with external stakeholders such as, Al Ain Distribution Company (AADC) and Tabreed. Abdul Hameed worked in Asset / Facilities Management sector for multi international companies in India and for the last ten years in UAE mainly, UAEU New campus construction interface and facilities management services. 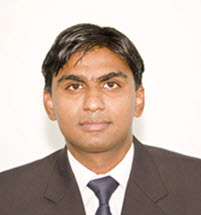 Abdul holds a Degree in in Mechanical Engineering and is an associated member of Institution of Engineers from India.